Maynooth Castle in County Kildare is a beautiful stone structure, founded in the early 13th century. As the principal residence of the Kildare branch of the Fitzgeralds, it stands at the entrance to the south campus of Maynooth University. This great stone castle was founded in the early 13th century and became the principal residence of the Kildare branch of the Geraldines. 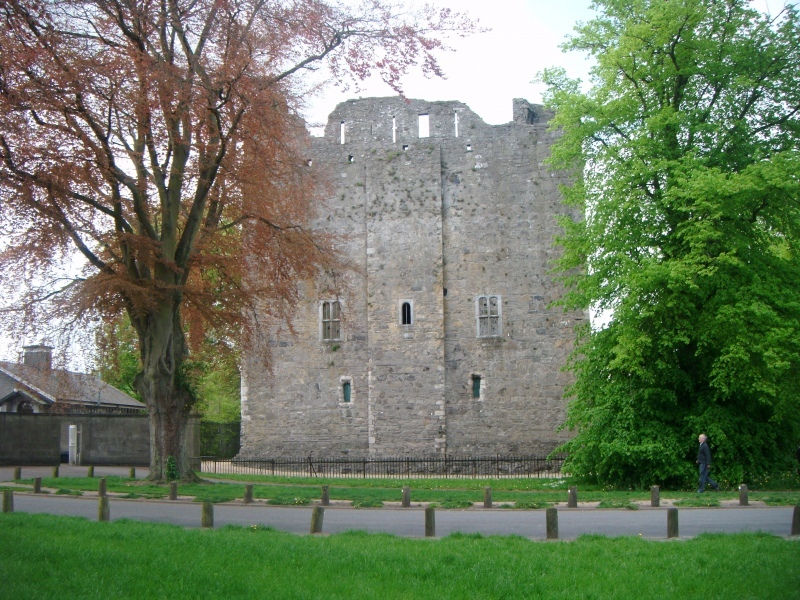 The Kildare FitzGeralds extended their land holdings and influence, emerging as one of the most powerful families in Ireland with Maynooth Castle being one of the largest and richest Earl's houses. Garret Mór, known as the Great Earl of Kildare, governed Ireland in the name of the King of England from 1487 - 1513 and under his son, Garret Og the 9th Earl, the Castle became the centre of political power and culture. The original Keep, constructed c. 1203, was one of the largest of its kind in Ireland. Early in the 17th century the castle was remodelled and the main focus of the Castle shifted from the original Keep to the buildings in the east of the grounds. It was vested in the State in 1991 and a programme of restoration commenced in February 2000. There is an exhibition in the Keep on the history of the castle and the family. Guided tour of historic Maynooth College campus, featuring Silken Thomas’s yew (Ireland’s oldest native tree), Stoyte House (where Maynooth College was founded in 1795), the Ghost Room, and the Gothic Revival College Chapel, the largest choir chapel in the world.